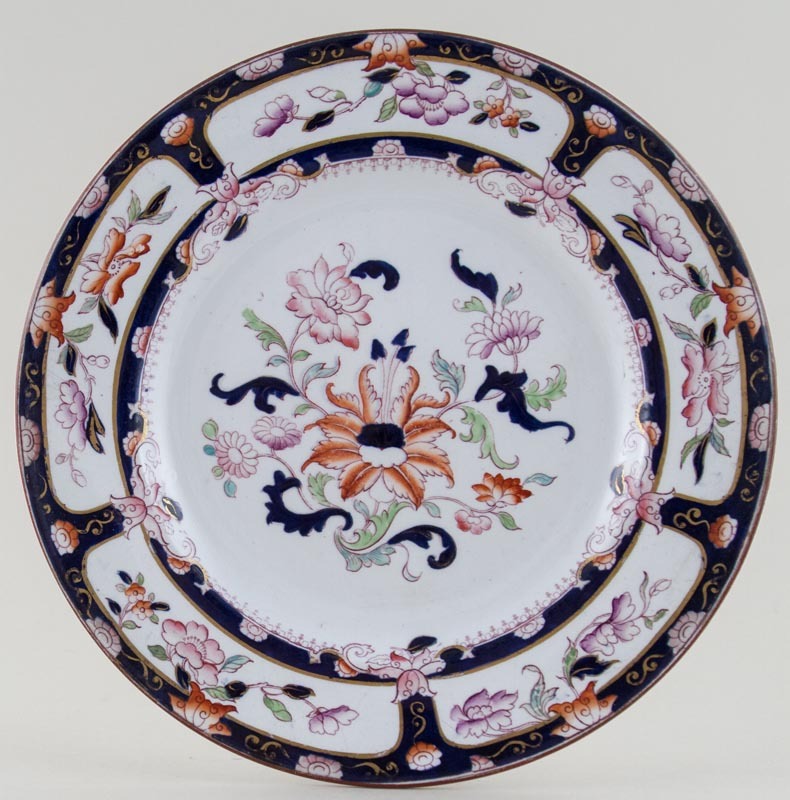 Very pretty plate printed in a rich cobalt blue with added hues of terracotta, pink, green, blue and purple with gilt highlights. Backstamps vary: Impressed Brownfield and Sons or W B and pink printed No 34.. Some surface scratching with wear to the outer rim and just a little on the back. Depth of colour varies a little from plate to plate.